Sunday, June 10 at 9:45am will be our All School Reunion! Who is invited? All former and current students. Graduates of the Trinity Lutheran School. Present and former teachers and principals of Trinity. 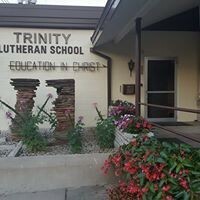 Past and current supporters of Trinity Lutheran School. All who want to join in celebrating 100 years of Trinity Lutheran Church and 60 years of Trinity Lutheran School! Our preacher is Rev. Jason Soenksen from Concordia University Wisconsin. He is a former vicar at Trinity. A spaghetti meal will follow the worship service in the basement of the church with a special program as well.